The Sears Tower, the Bean, Wrigley Field, Navy Pier, deep dish pizza, and the ever-popular Chicago-style hot dog…there’s plenty to enjoy in the Windy City! When, during your trip to Chicago, you need a breath of fresh air, why not take a short trip beyond the city itself? Just 25 miles southwest of Downtown Chicago is the Carmelite Campus in Darien, Illinois, home of the National Shrine of St. Therese, the Carmelite Spiritual Center, and the Carmelite Meditation Garden. The 40-acre retreat gives visitors an opportunity to step back from the everyday and enter the world and spirituality of St. Therese of Lisieux—now, THAT’S a vacation for the 21st-century pilgrim! 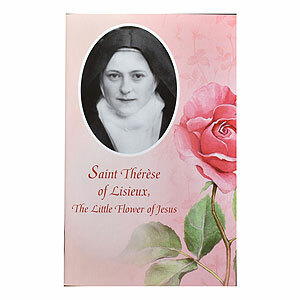 St. Therese is an ideal patron for common people—that is, for all of us! She attained holiness by doing the best she could—loving the best she could—in the ordinary, but often frustrating, circumstances of her life. While most of us will never do things that the history books will note, we—like St. Therese—can lovingly do what God calls us to do. In a day when nearly everyone seeks an audience, we can quietly go about our work, taking the time to realize its significance to God and to our salvation. 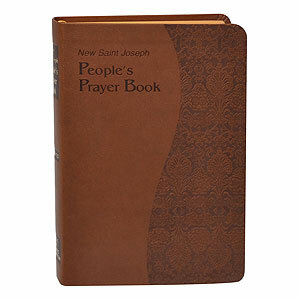 Reflecting on this element of Carmelite spirituality can help us to make sense of the busyness of our lives. Right outside one of our nation’s busiest cities, the Carmelite Campus beckons the faithful to stop and appreciate the simple and mundane, which lead us to the Truth. The Carmelite Campus offers something for everyone. With artifacts from St. Therese’s life, a replica of her convent cell, and the largest collection outside Lisieux of memorabilia and relics of St. Therese, the Shrine Museum provides both education and inspiration for visitors. The bucolic Carmelite Meditation Garden features the Stations of the Cross, as well as a flowing pond and gazebo designed to facilitate prayer. The Carmelite Spiritual Center hosts on-site workshops and retreats throughout the year. 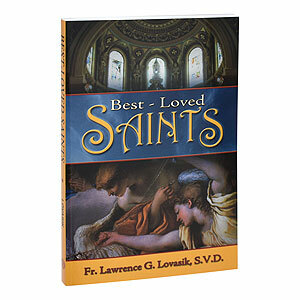 The Carmelite Gift Shop offers an impressive selection of Catholic books, statues, and keepsakes to remind you of your time well spent in reflection on the life and legacy of St. Therese. Open to the public 7 days a week, the Shrine is easy to visit—make a quick stop, or plan to attend a special event or Mass there! A touch of Europe; an infusion of spiritual renewal; and a worthwhile experience near the city, yet so far from the hubbub—sign us up! 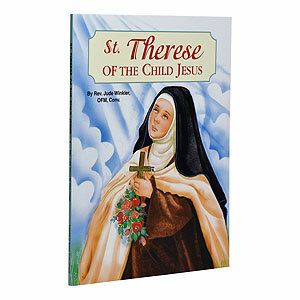 Relates the life and influence of St. Therese of the Child Jesus in simple, easy-to-understand language. Beautifully illustrated in full color.